I can’t imagine and don’t ever want to know what it would feel like to lose two of my children. But that’s exactly what happened to the parents of J.W. 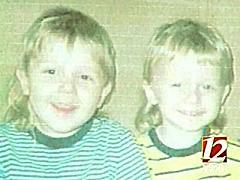 and Jacob white, the 3 and 4 year old brothers who drowned in the Dan River last week. While there’s little anyone can do to ease this family’s pain, we can help to ease the financial strain caused by this tregedy. Donations to help cover the cost of the funeral are currently being accepted. You can send your contribution to the J.W. and Jacob White Trust Fund, care of LSB Bank, 1101 Main St., Danbury, N.C. 27016. They were my cousins. I’m really sad to see them go. But the plus side is they are now in a perfect place, and running free wherever they want. Like I said, I’m extremely sorry to hear abot this. I send all my love to Jeffrey White, Sr. and his family. You’ll forever be in my prayers!!! !